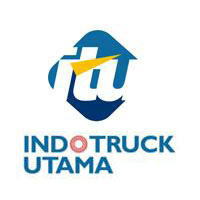 PT Indotruck Utama, Our organization is a member of the Indomobil Group and begin our venture as the main distributor of Volvo Trucks in 1988. Now the company has increased its involvement in the market by being appointed as the sole main distributor of below products in Indonesia; Volvo Trucks and Buses, Mack Trucks, Kalmar Container Handling, Manitou Material Handling Equipment, Gehl Skid Loaders. As part of our effort to enhance service to customers and to extend worldwide networking, the company always needs dedicated team members who share the same vision with us. Facilitated by a structured program of change under the vision commonly shared by all levels of management and staff. Extensive training and personal development is one of the facilities offered by Indotruck Utama to its team members. One aspect held strongly by Indotruck Utama is to uphold their team members as invaluable assets to the future of the company. 2 years experiences in the same position. or e-mail to : recruitment@indotruck-utama.co.id .